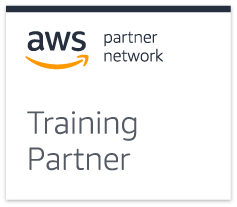 Fast Lane is the official AWS Training Partner. Our authorized Amazon Web Services training courses help customers and partners prepare towards achieving the AWS certifications. On this page we'll show you which courses prepare for which certifications. AWS offers 3 levels of certification: from Foundation, the basic level of certification, to the more advanced level of Associate, up to Professional, the highest certification level. Certification can be attained for four roles: Cloud Practitioner, Architect, Developer and Operations. Would you like to know more about AWS Training and Certifications? Feel free to send us an email or call us on +31 30 658 2131. We'd be glad to assist!